Origin Stories, O. Henry Winners, Readings, and Book Releases are just a few Fictionaut highlights this month. “True Conditions” by Michael Copperman is forthcoming at Camera Obscura, and “Reading the Water” will appear in April’s The Sun. Heather Fowler’s book Suspended Heart received a glowing review from The Short Review, and her collection People With Holes will be published by Narcissus Press. Fowler plans to donate 100% of her proceeds to V-Day, Eve Ensler’s global movement against violence against women and girls. Fowler’s other news includes a story in Necessary Fiction’s Origin Series; a story in Feminist Studies; and a discussion of Corey Mesler’s Notes Toward the Story & Other Story at The Lit Pub. 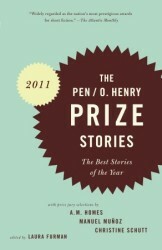 Sam Ruddick’s story is forthcoming in the 2012 O. Henry Prize Winners. J.P. Reese’s “The Human Condition” and “The Rest Home” is forthcoming at The Glass Coin; “Almonds” and “Lex Talinois” is at Eunoia Review; “Empire Falls” at Blue Fifth Review; and “A Letter From Your Editor” is at Pure Slush. Steve Himmer’s The Second Most Dangerous Job in America is the first ebook short in a new series from Atticus Books. David Ackley’s “Hellgate” (which first appeared at Fictionaut) is forthcoming in Thrice Fiction. Bill Yarrow’s book of poems, Pointed Sentences is available at BlazeVOX and Amazon. Marcus Speh’s “The Families/Die Familien” is a bilingual weekly highlight at the Frankfurt Bookfair 2012 blog fest; “Lefthand View” is at Trainwrite; “From Rus­sia With Love” is at decomP; “Eter­ni­tude” is at A-Minor; “A Classy Whore” at Reprint Poetry; “For Carol Novack” is at Mad Hatters Review; “The Sodom­ized Dic­ta­tor” at PANK; “Sniper” is at Dogzplot. Robert Vaughan has published Flash Fiction Fridays, 34 stories from WUVM’s Lake Effect; has work in Heavy Feather Review, Untoward Magazine, Connotation Press, fwriction: review – Year One, Exquisite Quartet Anthology, and Stripped. Michelle Reale interviews Vaughan at Flash Fiction Chronicles. Susan Tepper and Mark Reep’s Story and Image Collaboration “Real Eyes” is in NYC Big City Lit. Jules Archer’s “Glory Days” and “Baking Cakes for the Enemy” are at A-Minor. My story “Eldorado” is in the latest Snake Nation Review. The Sunday Best Reading Series is presenting “Delicious New Fiction: Jonathan Baumbach, Janice Eidus and Douglas Light” at Hudson View Gardens’ The Lounge, February 5th at 4pm, 116 Pinehurst Avenue @ 183rd Street. $7. Call Patricia Eakins at 212-923-7800 x1342 for more information. Marcelle Heath is a contributing editor for Fictionaut and assistant editor for Luna Park Review. She blogs here. Send your news for the next installment of Front Page to marcelleheath@yahoo.com. The Fictionaut writers are OUT THERE and it gets more exciting every day!!! Each time someone achieves their bliss or has a prayer answered: (a story accepted, a poem, a book) the more the world is healed. And it needs all the healing it can get. Somehow this slipped right by me, but Marcelle I have to thank you once again for assembling all the great news of late among our amazing prolific writing community. I’m so grateful to be included. Yes, I’m late responding – but thank you for this informative dish of info! I love Fnaut and I love seeing those I know out there, as well as discovering new writers. Thank you, Marcelle, for putting this all together so we can celebrate our own successes with our writing friends and cheer for everyone else as well.